“We Are Church” Working Group is wrapping up it’s work with review of evaluations of the Lenten resources and will prepare for the Synod Assembly hand-off to the “We Are Lutheran Working Group. 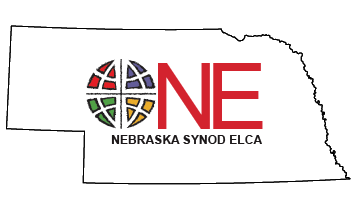 Nebraska Synod Ministry Assessment Team has been meeting. Still working on identifying things that can be eliminated. “We Are Lutheran” Working Group has been meeting. The theme will be introduced at the 2017 Synod Assembly. The Lenten resources will be developed. Reformation 500 Team - Joint Prayer Services have been scheduled. May 1 at St. Cecelia’s Cathedral, Omaha, 7:00 PM; September 11 at Kountze Memorial Lutheran, Omaha, 7:00 PM. St. John’s on the Creighton University campus will be the site of a Reformation Commemoration worship service on October 29, 2:00 PM. “We Are Church Together” Working Group will be formed to begin working in 2018. Deans position revisions have been completed. Racism Awareness Team has begun meeting. Synod Council approved the elimination of goals B6 6.1, 6.2 6.4 Mission Strategies and allow the things that are bubbling up naturally to lead in appropriate directions, while focusing on serving the communities to which the synod is already committed. Young Adult Working Group requested move of completion date to Q3 2017. Synod Council approved. This team has met with the Seniors Working Group to discuss shared goals and possibilities. Seniors Working Group is meeting and will have a presence at the Assembly ministry fair with an interactive survey. Goal B1.2 - Call Process Support to Congregations: Prayer Event Resources are ready for congregations in the call process and several congregations have had a synod spiritual director lead this as a part of their call process. “Drinking From The Well” is a new spiritual formation process opportunity being developed.